This is done within the tenancy in Arthur. Select Add Transaction and enter “Sundry Charge”. This will decrease the amount owing to the tenant and count as a deduction. This is done in the ‘Close tenancy’ function within the tenancy screen in Arthur. On the left click on the three dots and select Close Tenancy. 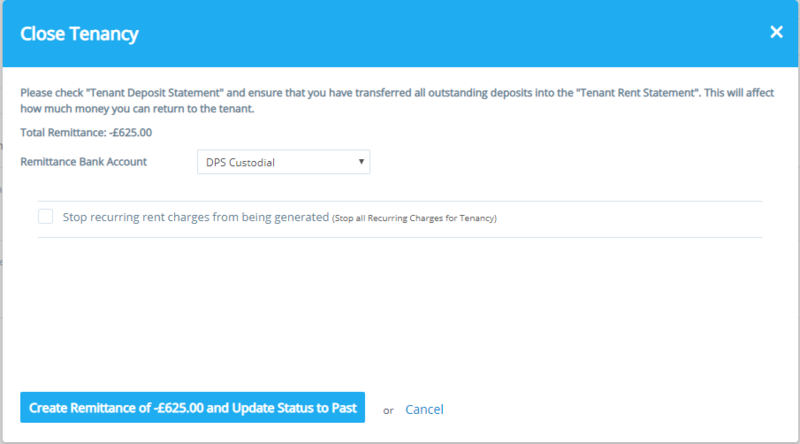 At the point of closing the tenancy you will be prompted to enter a bank account from where the refund is coming from. You will choose the account set up in the following guide. It will create a remittance totaling the sum of Deposit less deductions. No entry will go through the bank account in QuickBooks as the credit will be created in QuickBooks as a credit to the custodial account.